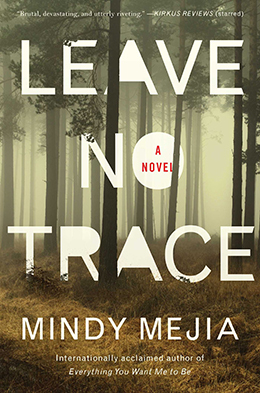 With Leave No Trace, Mindy Mejia so organically incorporates setting into the structure of the novel that years from now, future writers will refer to this book as a blueprint for how to nail location. By dividing the story between the inside and the outside, Mejia elucidates how these two dichotomous states clash and compliment each other; while also using them as metaphors for the conflict between societal expectations and individual desires. In Leave No Trace, the Congdon Psychiatric Facility located in Duluth, Minnesota represents the “inside.” Within its walls, the focal characters are our narrator – speech therapist Maya Stark – and her mentor, Dr. Metha. Maya’s history with the Facility is a complex one, but suffice to say the isolated nature of her lifestyle is mirrored by the closed sterility of this building. Day to day life has become a monotonous repetition of repeated tasks, which feels comfortable for Maya. Into this world comes a new patient, one who is quite unlike any that Maya has yet encountered. Lucas Blackthorn is not at this psychiatric facility by choice. Years ago, he and his father disappeared into the wilderness and have not been seen since. But now, the authorities have Lucas and they want to know where he has been; and their questions about his father’s location are anything but innocent. Lucas will speak to no one, until Maya Stark is assigned to his case. The two form an unusual bond and Lucas slowly begins to open up. For her part, Maya also feels a new desire to expose parts of her past to another person for the first time. The closer these two individuals grow, the further they commit to this “inbetween” state of being. The Boundary Waters area of Minnesota are about as outdoorsy as one is likely to find, making it the perfect representation of the “outside.” The deep woods and wild waters easily consume those that enter – both physically (with the ground cover) and mentally (with the serene natural world). Somewhere out there is Josiah Blackthorn. Is he dead, is he hiding, or is he simply hoping that one day his son will return? Leave No Trace is one of those crime novels that subtly pushes against the artificial constraints foisted upon the genre. 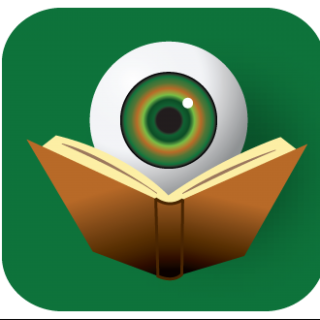 This is not about the twists – although technically, there is one – or about the thrills – even though there are many; this is a book that depends on the reader’s empathy with the characters. With the core of the novel focused on the love between parent and child, everyone can relate; but Mindy Mejia somehow makes even those who have never “lost” a parent feel the internal ache brought about by such an important missing piece – regardless of how that void was created. When your anchor to the world is gone, how to you find a way to hold on? And what causes people to make the choices they do? Motivation is a complex concept, and there are as many reasons as there are people. Leave No Trace seems like an organic growth from her character-driven crime fiction debut, Everything You Want Me to Be. Mindy Mejia chooses to tackle massive ideas, but she does so with style, grace and humility. Leave No Trace is an entertaining book that also alters one’s world view just a bit in the end. If Mindy Mejia continues to improve with each new novel, her name will quickly become one of the most recognizable in the crime fiction tribe. Okay… this sounds very interesting. Thanks Kris. Thank you, Leslie. It’s a very special book!